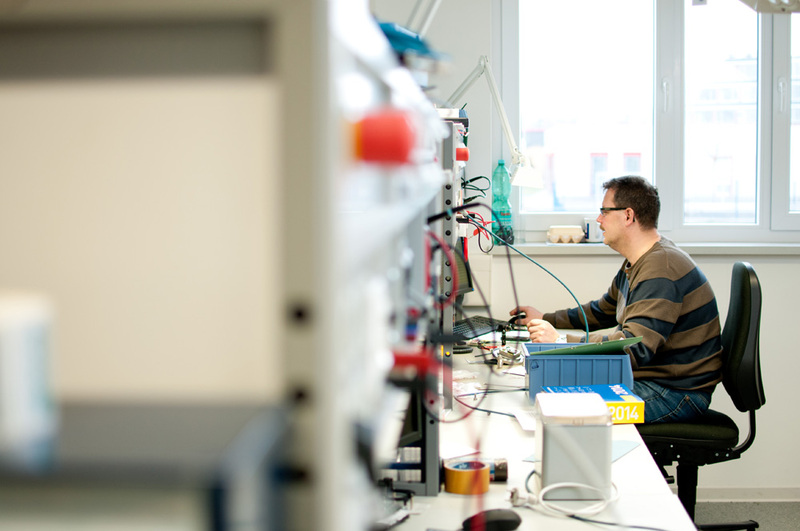 Based in Dresden, DIAS Infrared GmbH develops and manufactures high-quality infrared cameras, infrared line cameras, pyrometers, black bodies and infrared detectors for industrial temperature measurements. The self-developed software for the display and processing of measurement data is included in the scope of delivery. A big part of our costumers trust in individual, application specific system solutions and services. The application areas of pyrometers, cameras and system solutions are very multi-purpose. The infrared temperature measurement is used everywhere in industrial process measurement technology where you can only measure without contact. Examples for processes lie in the metal and glass processing, R & D projects, traffic control and fire surveillance. Also niche applications in medicine, food industry or doping tests for race horses are examples for the almost the endless potential of high-quality infrared measurement technology. Our infrared detectors are not only used for our own pyrometers and cameras, but also in devices and systems for gas analysis and spectroscopy. DIAS Infrared Corp. is open with a principal office in Massachuasetts. 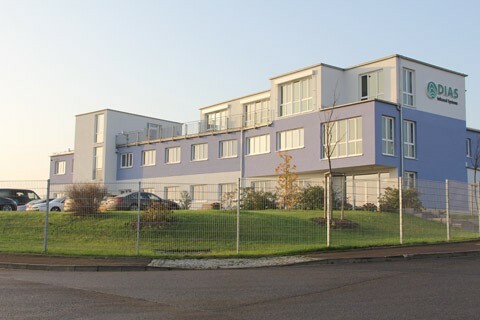 The company, formed August 1, 2012, is a wholly owned subsidiary of DIAS Infrared GmbH. The subsidiary and new office is designed to better serve our North American customers with expert local sales and application support services. 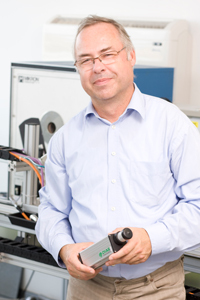 Recent growth in DIAS industrial noncontact temperature measurement systems has made now the right time to concentrate efforts in North America through creation of the subsidiary. DIAS Infrared Corp. now serves as the focal point to manage all North American operations for DIAS IR cameras, pyrometers, and system solutions. Company brochure DIAS Infrared Corp.
Prof. Dr.-Ing. 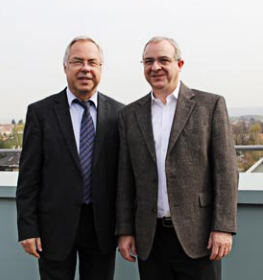 Günter Hofmann, CEO DIAS Infrared GmbH and Phil Gregor, President DIAS Infrared Corp.